Protects your embossing folders and keep them in one place ready for when you need them. 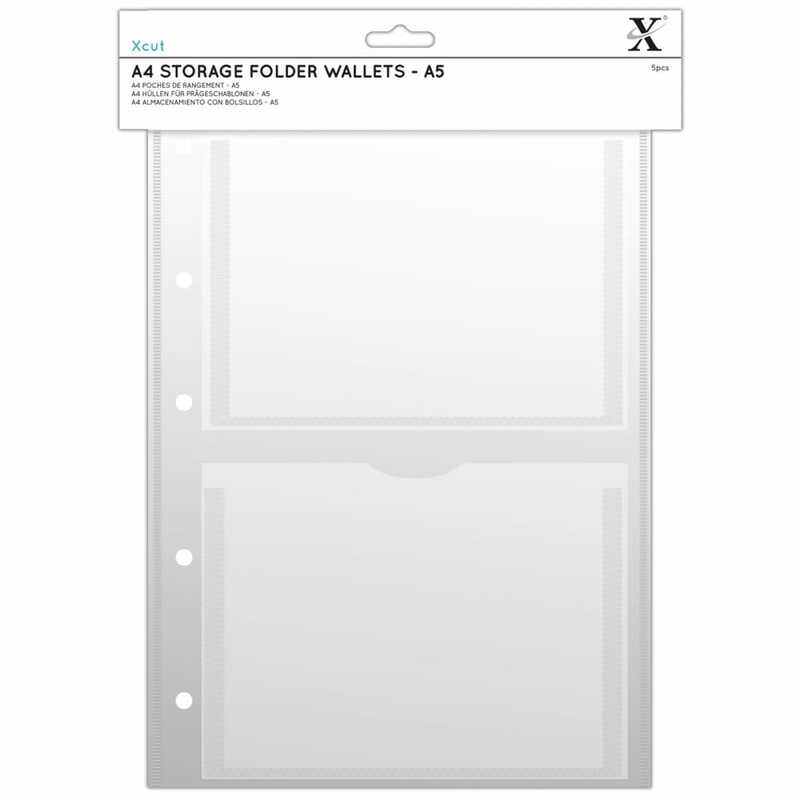 Available in other sizes and use with the A4 storage folder. Showing 2 DoCrafts Xcut A5 Storage Folder Wallets Pack of 5 reviews. Average rating of Excellent. Would you like to write a review? The storage wallets are excellent value and fit my embossing folders perfectly. These are perfect for what I wanted.